Rafal Turkowiak was born on 9 January 1966 in Golanice near Leszno, Poland. His father, a carpenter, and grandfather, a wheel-wright, had great influence on the boy in the field of carpentry and wood technology. At the age of 15, he graduated from a primary musical school having successfully completed a 3-year-course in less than half a year in classical guitar. Two years later, inspired by dismantling of an old guitar, he made his first classical instrument with a sound hole and unique soundboard construction with suspended bracing, which was innovative at the time. ​Almost the twenty-year-long experience and experiments in guitar making have resulted in successful solution of soundboard. This unique construction with unconventional 'WAVE' type resonator places Rafal Turkowiak among the best luthiers. He applies the 'WAVE' structure in his classical, flamenco, acoustic and jazz guitars. Thanks to noble and partial sounds this luthier's work is called 'the Queen of Guitars'. The only one in the World construction inside the guitar which was made to counteract string tension. The resonator is made from highly-resonant wood, what in addition strengthen the ‘WAVE’ effect. This innovation results lighthen bridge so that it can much better fullfil it’s function by transporting energy at the resonance board. Specific construction of ‘WAVE’ type resonator acquires tension in the soundboard what leads to increased vibrations frequenties. ‘WAVE’ type resonator was made from highest quality Alpine Spruce from Tirol what gives natural, classical sound of the guitars. In the guitar was used a reduced size bridge what gives reduced mass and allows for effortless soundboard vibrations. First in the World ‘Acoustic Tubes’ inside the guitar neck. The main principle is better, than in a traditional guitar, sound transmission from the nut through the neck at the guitar body. 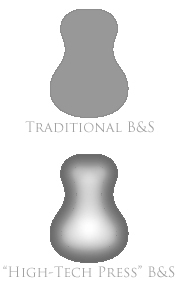 The neck, thanks to the use of specialistic material, obtains incredible acoustic properties. Inside the neck occurs acoustic pressure which finds it’s outlet through the visible holes situated after the twelfth fret. The neck creates supportive resonant area. Guitar’s sustain with ‘Acoustic Tubes’ is up to 20% longer than in traditional guitar. Thanks to the use of specialistic material sound transmission from nut to the guitar body is much faster. Using innovative material assures deformations durability caused by string tension. 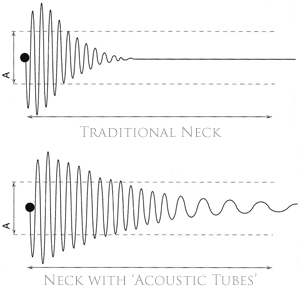 ‘Acoustic Tubes’ creation process allows for a significant reduction of the neck’s mass. First in the World back and sides made in ‘High-Tech Press’. Due to the connection of the highest quality exotic wood with resonant wood and use of specialistic processing achieved distinguished acoustic properties of the material. The process of creation follows a lot of changes in the acoustic properties. The technology is used in back and sides of my guitars. In addition, the guitar back is additionally parabolic curved (as are the violins). The guitar made in ‘High-Tech Press’ has about 15-20% increased acoustic properties. Giving parabolic shape improved strength parameters. Innovative technology allows achieving unrepeatable sound advantages. e国分寺ギター教室 八王子ギター教室　調布ギター教室 永山ギター教室 札幌ギター教室at the time.